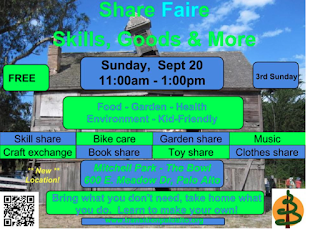 Films of Vision and Hope comes to Sunnyvale! 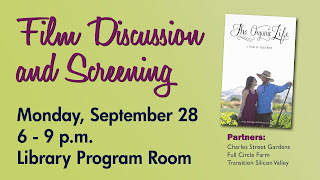 You are invited to join us for a free screening of the film "The Organic Life" at the Sunnyvale Public Library, 665 West Olive, Sunnyvale, CA, on Monday evening 9/28/15 from 6-9p. The Organic Life is a yearlong chronicle of life on the farm. The film shows not only who grows your food, but also how it is grown. We’ve all seen the end product at farmer’s markets, grocery stores, and restaurants; however, rarely do we think about what actually transpires in the 200-some days it takes your local farmer to produce that heirloom tomato. 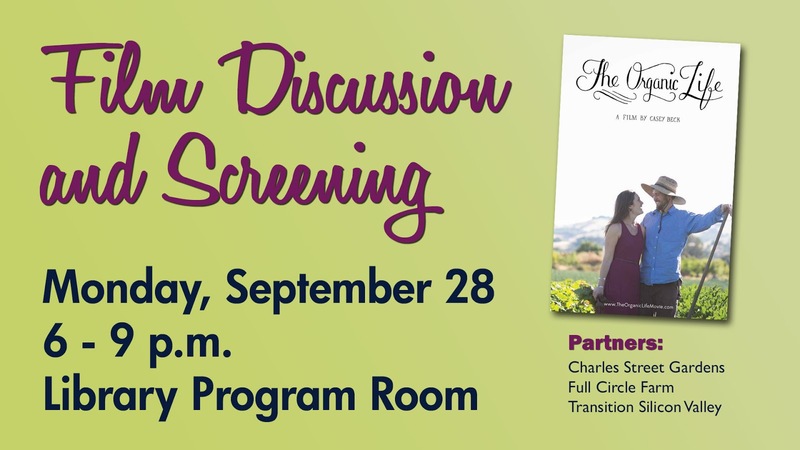 The film focuses on one young farmer, filmmaker Casey Beck’s boyfriend, Austin Blair, and tells their story, thus allowing the viewer to delve into this issue and experience over the course of one hour the low points and ultimately the joys that surface over a year of farming. 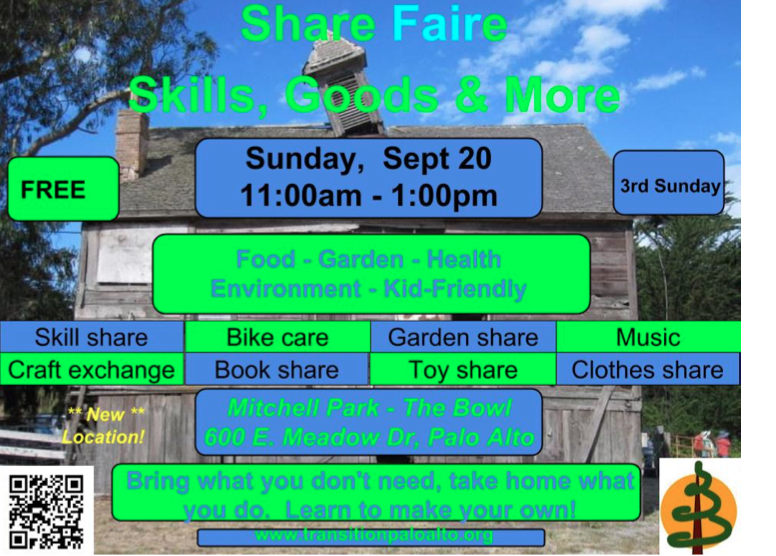 Mark your calendars and plan to join us in The Bowl at Mitchell Park between 11:00 AM and 1:00 PM on 9/20/15 for the next TPA Share Faire.